Getting a positive outcome from reporting a crime to the Police requires a significant amount of time from both the victim and the Police response and investigation. But there are easy things you can do to make crime reports better. 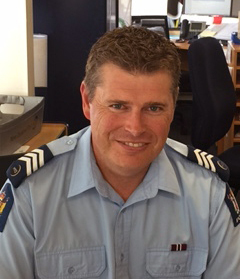 We caught up with Sergeant Matt Murray, Head of the Investigations Support Unit from Waitemata District Police, to understand how proving the value of stolen goods has significant implications for criminal cases. Q: Hi Matt! Why does the value of goods matter so much? How do police use it? up to seven years in prison if the theft is worth more than $1,000. Therefore the value has a major impact on the sentences that can be imposed by the court upon conviction. Defence counsels will sometimes question the value of goods stolen in an attempt to reduce the penalty that can be imposed by the Court. It is therefore extremely important for Police to be able to prove the value of the property stolen so offenders are held accountable for the true value of their offending. This is the main reason we request that retailers provide evidence of value when they report crimes. Q: Okay, so what type of evidence is required to prove value for the courts? For retail crime, a store receipt or invoice showing the value of goods stolen is sufficient. If this isn’t available, an alternative could be a printout of an Internet search with the price from a similar store attached, but a store receipt or invoice is definitely the better option. Q: Do higher-value thefts get investigated faster? Every crime complaint that arrives in our office goes through an evaluation process. What we look for first are crimes with strong lines of enquiry for an investigation, like a known and identified offender, for example. Complaints that are straightforward to investigate and have a higher likelihood of successful prosecution tend to get processed first. While the lines of enquiry are the main factor in determining if a crime is investigated further, the value of the property is also a major factor. High-value retail crime incidents with an identified suspect will often be assigned for investigation first, but this will not be based on the value of the goods alone. Q: If I prove the value, does that mean I’m entitled to reparations? Not necessarily. The court has discretion to order an offender to pay reparations to the victims if they have suffered a financial loss and to a lesser extent, emotional harm directly attributable to the offenders’ action during a crime. However the Victims’ Rights Act does not guarantee reparation will always be directed by the court. The amount of reparation ordered is based on many factors including how much damage was caused, loss or costs you have incurred, and the offender's ability to pay.